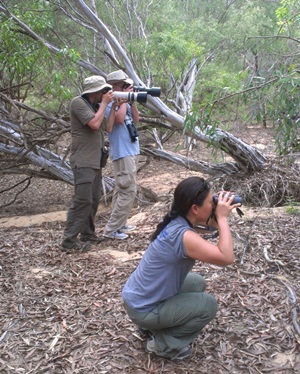 Nine day, eight night tour starting with prime birding locations around Darwin's mangroves, monsoon forests and parklands, then Mary River National Park and the famous Kakadu National Park. We continue on through open savannah country to Pine Creek and Katherine. Then we follow the Victoria River through wide open plains and rugged escarpment ranges to Timber Creek. From there we explore Keep River National Park on the WA border before crossing into WA for the 5 hour Lake Argyle Birdwatching Cruise. 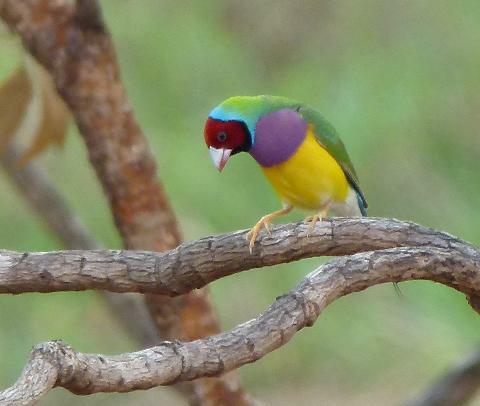 We birdwatch around Kununurra and the tour finishes with a one hour flight from Kununurra to Darwin. Total distance covered - 1800 kilometres. Will this tour suit me? All accommodation is in comfortable air-conditioned rooms with ensuite. A (cheaper) 'thousand star' camping option is also available. We start before dawn and stop for a bush breakfast at beautiful locations surrounded by birdlife at its busiest. Lunch is enjoyed out in the field and dinners are a la carte menus at resorts or restaurants. Groups are small, with a maximum of only 6 enthusiastic fellow birders. Kununurra to Darwin extension (optional) will return you back to Darwin, calling in to some very special locations not visited on the first trip. The reverse trip runs July 31-August 4. Four day extension is $1975 per person twin share. See details here. Taking this option gives you a 13 day unforgettable immersion in Top End wildlife, landscapes and culture! Total cost for the 13 day trip is $6970 (single supplement $1240). Inclusions - Accommodation, all with queen bed and single configurations, airconditioning and ensuite - one night at Mary River Wilderness Retreat, two nights accommodation at Kakadu, one night at Pine Creek, one night at Victoria River Roadhouse, one night at Timber Creek, one night at Lake argyle and one night at Kununurra. Yellow Waters Sunset Cruise, Lake Argyle Birdwatching Cruise, all meals, Kakadu Park entry fees. Cold water, tea and coffee and refreshments available at all times. GST.